The leadership of the Peoples Democratic Party (PDP), yesterday slammed the All Progressives Congress (APC) for alleging that the Presidency has refused to cooperate with it in ensuring a successful transition of power on May 29. In a statement signed by its National Publicity Secretary, Chief Olisa Metuh, the PDP asked APC to put its house in order and stop being boastful and arrogant. “Whilst we understand Alhaji Lai Mohammed’s (his APC counterpart’s) excitement in the euphoria of his party’s unexpected victory, we view the APC’s provocative statement, especially the unguarded invectives on the Presidency and PDP as an unfortunate display of arrogance and falsehood ostensibly aimed at heating up the system and creating room to cover for its inadequacies thereby inventing excuses for any failure in office,” Metuh said in the statement. 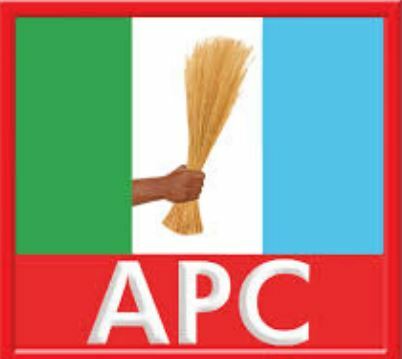 “We can confirm that the APC Transition Committee led by Mallam Ahmed Joda has met at least twice with the Presidency team led by Vice President Namadi Sambo while the Timipre Sylva-led APC Inauguration Committee has been meeting almost on daily basis with the PDP team led by the Secretary to the Government of the Federation, Senator Anyim Pius Anyim. It is therefore most uncharitable for the APC to attempt to mislead the people by claiming that the PDP-led Presidency was not cooperating in the process. “Although the ruling party suffered some electoral set back, Nigerians are witnesses to the fact that the PDP has remained humble in defeat while focusing on rebuilding and reinventing itself. Such should not in anyway warrant the unnecessary attacks, vituperation and insults from the APC. “As we look up from the lowest level we have fallen, we are fully determined to start the process of ascending back to an acceptable level in earnest. The APC must therefore learn to be decent and cease to be arrogant as that would amount to taking the goodwill of the people for granted. “What should be of more concern to an in-coming government like APC is the negative signals and the rising worries by Nigerians over its flip-flops and apparent nervousness of its President-elect who has started reneging on his campaign promises. “Nigerians were bewildered when they heard General Buhari renege on his messianic posture and told them in clear terms not to expect him to rapidly fix the problems of nation as he had promised during the campaign. “The same President-elect who boldly stated in his campaign manifesto that ‘I, Muhammadu Buhari have resolved that the task ahead of me is that of securing our nation and prospering our people, not looking backward to the failed policies and promises’ had on May 5, 2015 in a meeting with APC governors-elect reneged and announced that he has started nervously to explain to people that Rome was not built in a day. “Furthermore while the APC in a statement on April 3, 2015 denied that the President-elect pledged to end insurgency in two months of being sworn in, the video clip of his interview with Christiane Amanpour on CNN on April 2, 2015 is clear on the promise made by Buhari. “General Buhari in answering a question on how to deal with the divisions in the country said then that the actual division which is worth bordering about, I think in terms of social instability, that is insecurity in the north east and in the delta area, which I think they have been with the country long enough that we know how they started and what stage they are now, therefore we are confident that we will rapidly give attention to security in the country and I believe we will effectively deal with them in two months when we get into office. “When asked how he would achieve this, General Buhari said I think firstly we have to register the cooperation of the neigbouring countries, Cameroon, Chad and Niger; although some efforts were made by this administration but it was not good enough and it was too late. “Only recently, the President–elect barred a television house, the AIT, from covering his activities over unexplained security and family issues. Following public outcry the APC reversed the directive only for the President-elect to release a statement denying the ban and blaming overzealous aides. “Instead of engaging in shadow-chasing and dwelling on insults and unnecessary display of arrogance, the APC leaders should be worried that Nigerians are increasingly becoming apprehensive that their party has already started going back on the promises it made to them. The PDP promised Nigerians that it would build on what it has done to nurture the nation’s democracy by offering the most constructive and credible opposition as it repositioned to regain power in 2019.